Yogi Adityanath-led Uttar Pradesh government has allocated Rs 4,236 crore for the Kumbh Mela 2019, an iconic Hindu festival that is celebrated every six years, being held in Prayagraj (also known as Allahabad), which is more than thrice the budget of the Maha Kumbh in 2013, according to a PTI report. “The UP government has allocated Rs 4,236 crore for 2019 Kumbh Mela. 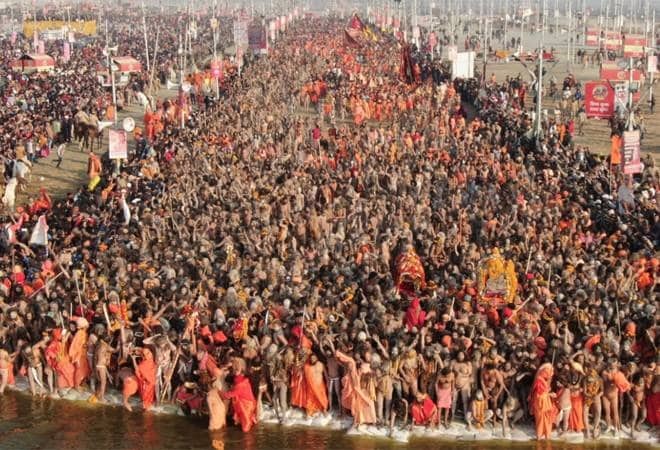 The previous state government had spent around Rs 1,300 crore for the Maha Kumbh, which was held in 2013,” state Finance Minister Rajesh Agarwal told the agency. Of the Rs 4,236 crore, the Uttar Pradesh government is investing Rs 2,000 crore, and the central government has allocated Rs 2,200 crore, of which Rs 1,200 crores has already been released. If you compare this budget with any other religious event organised in India, the Ardh-Kumbh mela’s budget is the costliest ever. Apart from this budgetary allocation, some other departments have also allocated funds for the mega event, the agency quoted the minister as saying.